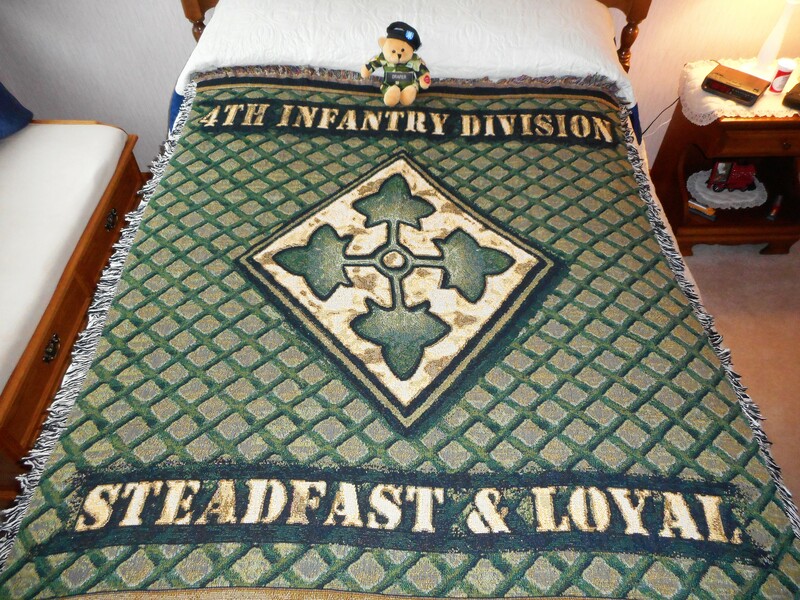 Yesterday while shopping in a local craft store, Carol found an afghan or throw that has the 4th Infantry Division logo on it. The clerk told us that they were close outs, and they were not able to get any more. I checked that company’s website, and I could not find any of them. Right now there are about 6 or 7 left in the store. They are selling for $12 dollars. If anyone is interested in one, I could purchase them and bring them to Nashville. Here is a photo of it. The website is http://www.esimplyhome.com. I will keep trying to locate more.